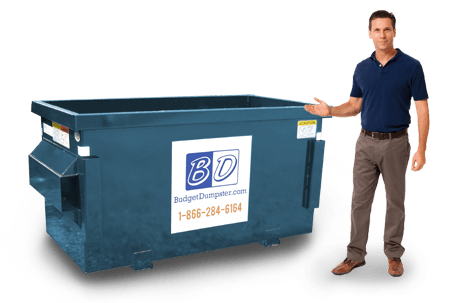 Budget Dumpster offers the best commercial dumpster service money can buy. We are constantly on the lookout for ways to improve our waste removal business while keeping the prices down for our customers. Our customer service representatives work hard to provide all of our customers with the most help possible. 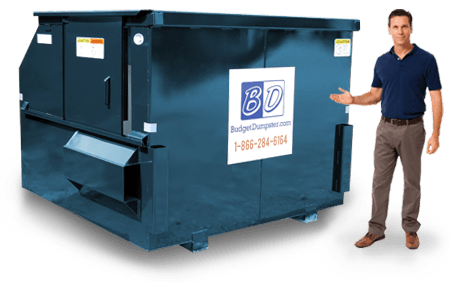 We can answer almost any question you may have regarding commercial dumpsters in Scranton. You never have to worry about us leaving because we are in it for the long haul. We like to think of ourselves as committed to the long-term relationship. We won't even be creeped out if you change your relationship status on Facebook because that's just how committed we are. When you get your dumpster through Budget Dumpster, you can make your own contract. We always work with our customers so they can have the best terms of service for their business. 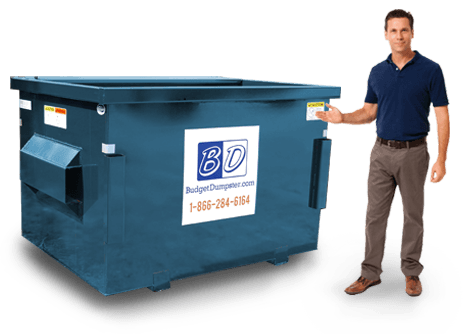 No matter what type of business you own, we have a dumpster that will work for you. 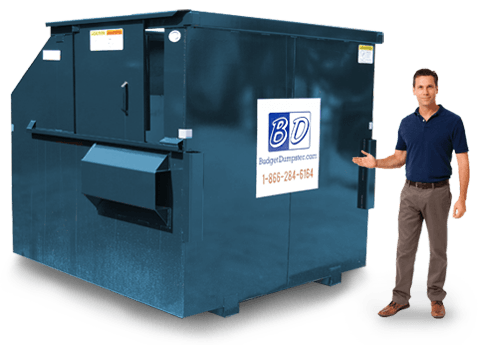 We offer a wide variety of dumpster sizes that can fit just about any type of business. Whether you're a small paper company or a manufacturing powerhouse, you will need some form of waste removal. So why not make it work for you and your wallet? Here at Budget Dumpster, we work hard to keep our prices lower than our competition. To get your service started, check out the sizes below and give us a call. Our drivers can place the dumpster almost anywhere on your property. Depending upon the size of the dumpster and the amount of space you have, there are many different options for placement. Most of our customers prefer to have their dumpsters placed behind their business in the parking lot or on a plot of grass. Our 2 and 4 yard dumpsters only take up about the same amount of space as a small car; whereas our 6 and 8 yard dumpsters need about the same amount of space as a small truck. When you call into our office to order your dumpster, our customer service representatives will ask exactly where you would like your dumpster to be placed and our drivers will ensure it gets in the right spot. What Kind of Trash Can I Throw in the Dumpster? Our commercial dumpsters in Scranton can handle a wide variety of waste. You can use our waste containers to dispose of construction materials, household waste and food scraps. The only thing we cannot allow to be placed into our dumpster is anything hazardous or flammable. This is a restriction enforced by the EPA and we follow all of their rules and regulations. We cannot allow hazardous or flammable debris to enter our dumpsters because most of what we collect is taken to landfills and sorting centers. When hazardous materials are tossed into landfills, it poses a threat to our environment, wildlife and to our health. We encourage all of our customers to do their best to recycle as much as possible and be careful about what they throw into their dumpsters.